Below you fill find all funeral homes and cemeteries in or near Karlstad. Karlstad is also known as: Kittson County / Karlstad city. Zip codes in the city: 56732. Some of the notable people born here have been: Bill Ingebrigtsen (legislator and sheriff). Karlstad is a city in Kittson County, Minnesota, United States. The population was 760 at the 2010 census.U.S. Route 59 and Minnesota State Highway 11 are two of the main arterial routes in the city. The current mayor is Nick Amb (elected in 2006). The city's slogan is "The Moose Capital of the North". It was noted on June 3rd, 2015 that Michael Danzl passed on in Karlstad, Minnesota. Danzl was 65 years old. Send flowers to share your condolences and honor Michael's life. It was noted on November 24th, 2014 that Lawrence Potrament perished in Karlstad, Minnesota. Potrament was 93 years old. Send flowers to express your sympathy and honor Lawrence's life. It was noted on November 22nd, 2014 that Avis R Oien passed away in Karlstad, Minnesota. Oien was 85 years old. Send flowers to express your sorrow and honor Avis R's life. It was reported on November 20th, 2014 that Irene Paulson (Carlson) passed away in Karlstad, Minnesota. Ms. Paulson was 91 years old. Send flowers to express your sympathy and honor Irene's life. It was written on November 16th, 2014 that Virgil A Hams perished in Karlstad, Minnesota. Hams was 85 years old. Send flowers to share your condolences and honor Virgil A's life. It was disclosed on October 26th, 2014 that James "Jimmy" Swenson died in Karlstad, Minnesota. Swenson was 64 years old. Send flowers to share your condolences and honor James "Jimmy"'s life. It was revealed on October 1st, 2014 that Verna Myhrer passed away in Karlstad, Minnesota. Myhrer was 88 years old. Send flowers to share your condolences and honor Verna's life. It was written on September 22nd, 2014 that Merlin Slaathaug died in Karlstad, Minnesota. Slaathaug was 80 years old. Send flowers to express your sorrow and honor Merlin's life. It was revealed on September 2nd, 2014 that Rodger L Hultgren perished in Karlstad, Minnesota. Hultgren was 87 years old. Send flowers to share your condolences and honor Rodger L's life. It was noted by Grand Forks Herald on August 29th, 2014 that Gloria Shablow died in Grand Forks, North Dakota. Shablow was 84 years old and was born in Karlstad, MN. Send flowers to express your sympathy and honor Gloria's life. The population was 794 at the United States Census, 2000 census. 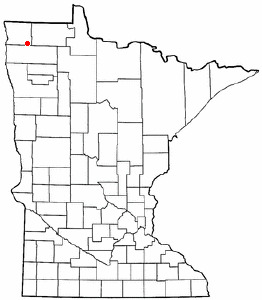 Karlstad is a city in Kittson County, Minnesota County, Minnesota, United States. . . . The official website for the city of Karlstad is http://www.ci.karlstad.mn.us/. Find funeral directors & Funeral Directors in Karlstad, MN. Read business reviews, find driving directions, and more. funeral directors on YELLOWPAGES.COM. The finest roses, gifts and Mother's Day flowers delivered fresh. Serving Karlstad, Minnesota, surrounding suburbs and the entire country. We work with local florists and flower shops to offer same day delivery. You will find budget sympathy flowers in Karlstad here. Our funeral flowers are cheap in price but not in value.